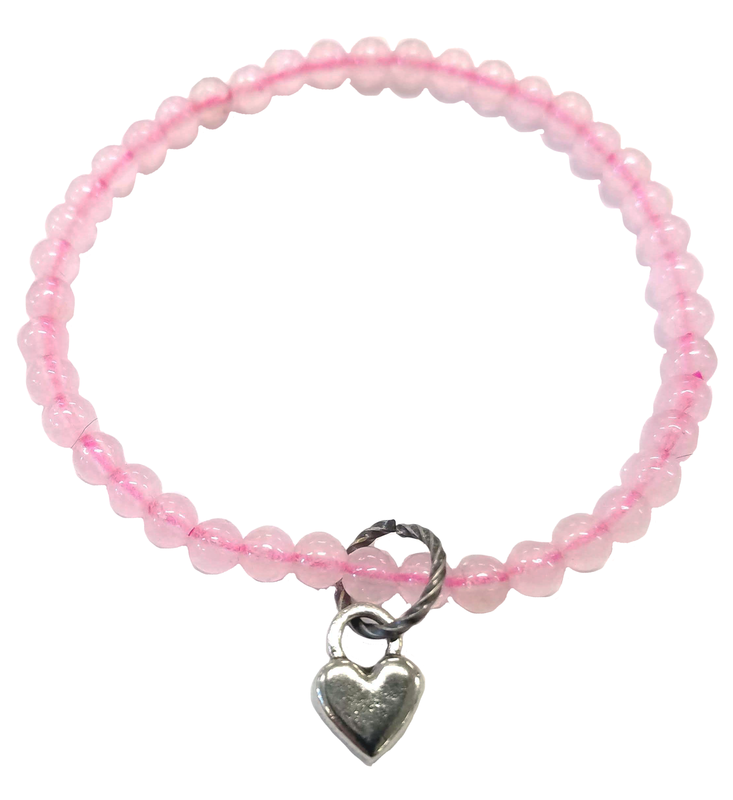 Charmlets are dainty bracelets made with 4mm semiprecious gemstone beads. 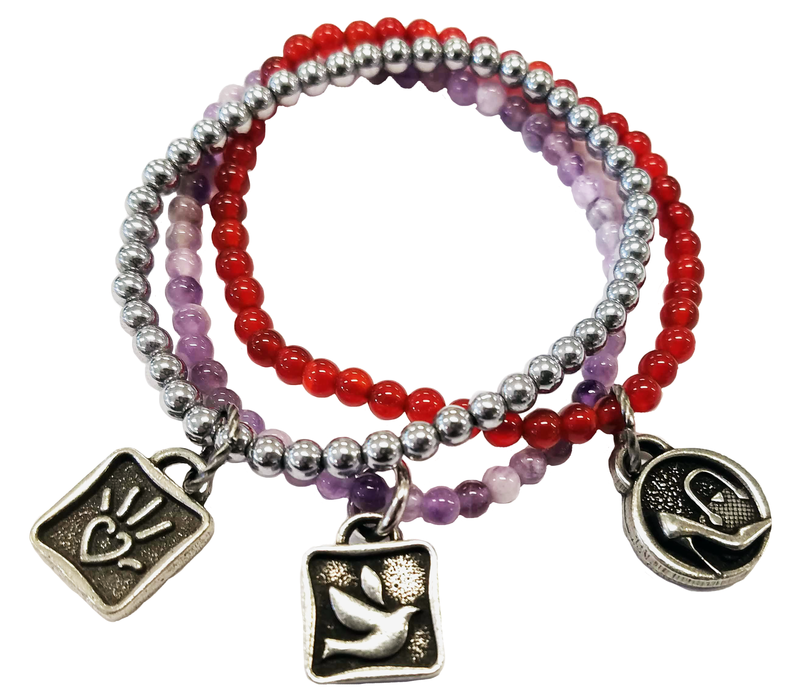 These delicate, one size fits all bracelets featuring one mini pewter charm. Get as creative as you want to match your event, recipient taste, or your brand. The possibilities are endless! Charmlets are dainty and inspiring. 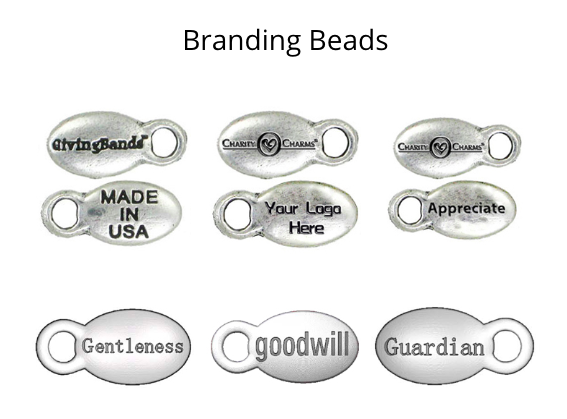 They are perfect for letting your volunteers, board members, alumni, or donors know how much you appreciate them. The ultimate, meaningful thank you gift! View our video below to learn more about Charmlets. 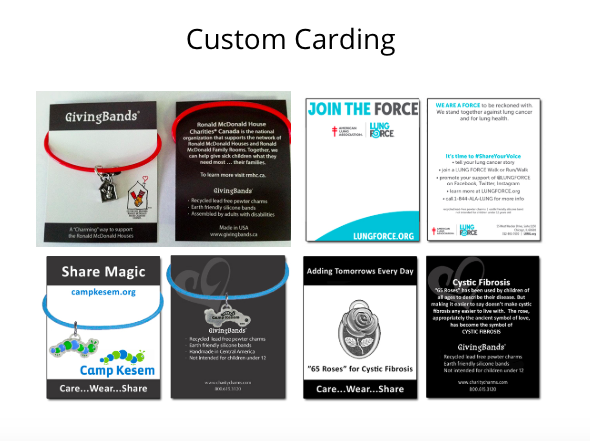 Your supporters LOVE to spread the word about your cause by wearing YOUR Bracelets & telling YOUR story. 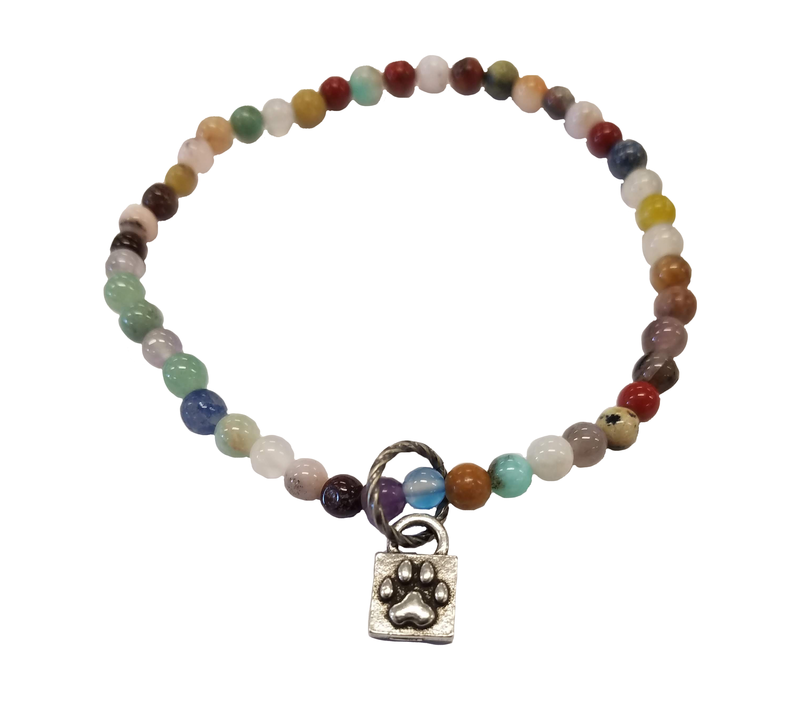 The 4mm semiprecious gemstone beads are strung on elastic creating a one size fits all bracelet. 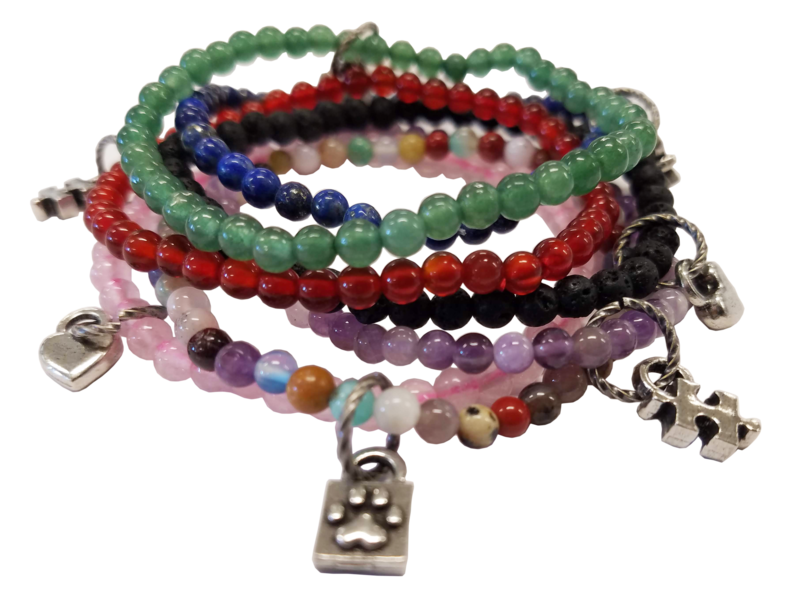 Choose from over 12 gemstone colors! 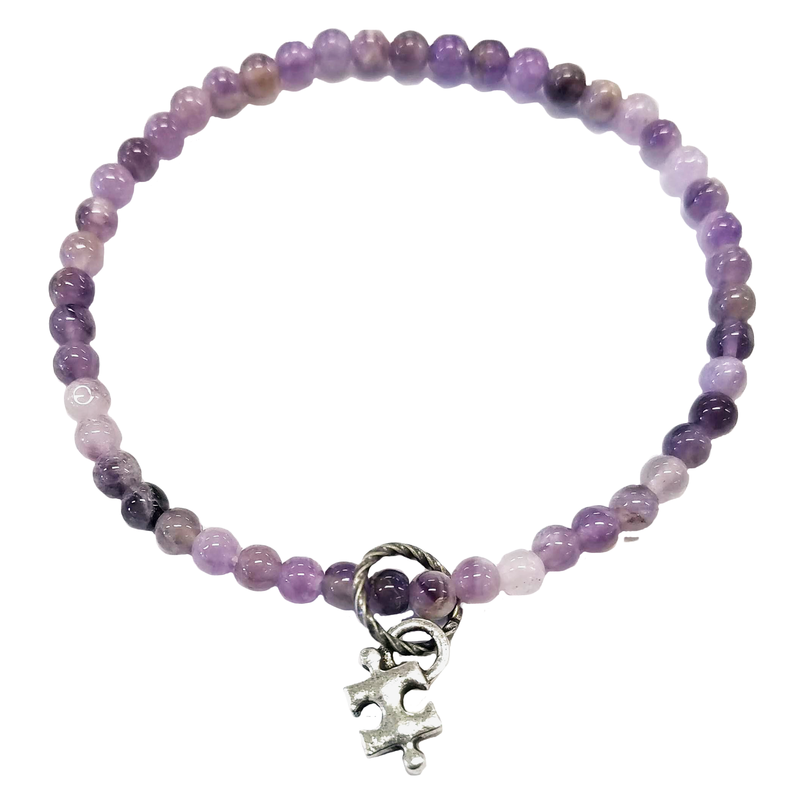 Each delicate bracelet features one symbol or logo charm. If you want to get creative, make a stack of three or feature three charms on one bracelet similar to what Society of Chairs did for their commemorative gift! Our 3 x 4 cards are a way to carry your message further. 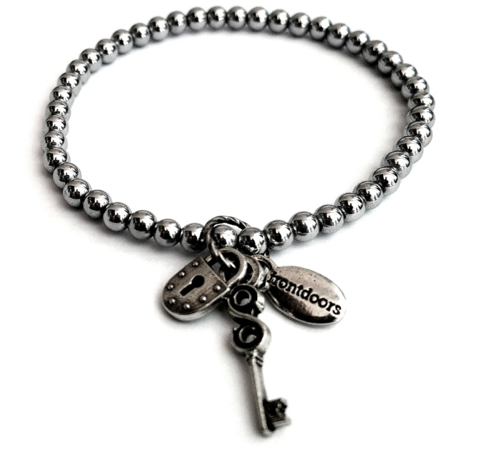 They are often kept once the bracelet is taken off and used as a business card or reminder of YOU. We have a standard template but they are fully customizable with your art. Looking for Inspiration? Check out our gallery!